Happy Lunar New Year of the Sheep! 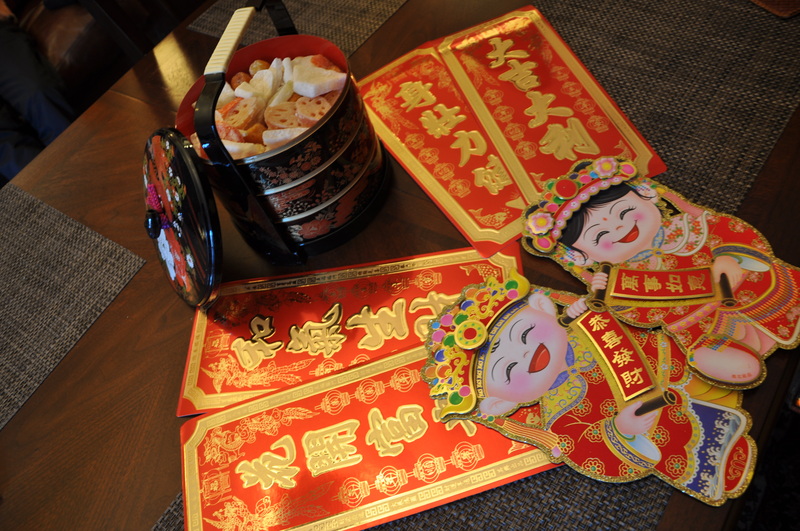 Chinese New Year is one of my favorite holidays growing up in Hong Kong. A celebration of Spring’s impending arrival, we would fill our homes with fresh flowers (boy, do I miss the sweet scent of the Narcissus bulb! ), see friends and family, and eat a lot of food that typically only gets served during this festive time of year. While these precious gatherings are harder to come by these days, I hope to carry on this great tradition by making the foods that remind me most of home. Turnip cake is a solid staple, while it does take a bit of work, it’s so worth it to make your own – check out my recipe (and menu) here. 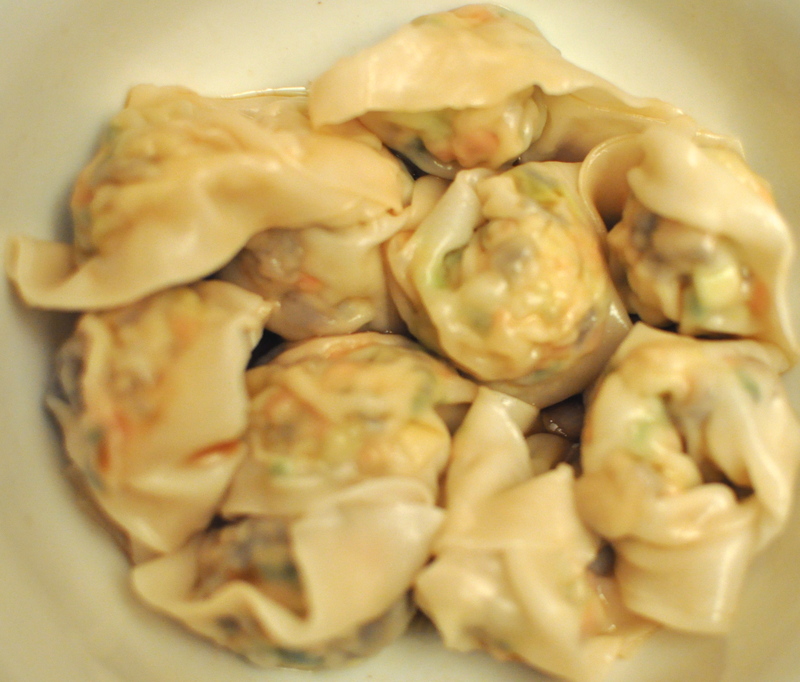 This year, I’m going to dive into another gold star staple, the Chinese dumpling! Ready to wrap and roll! 5. 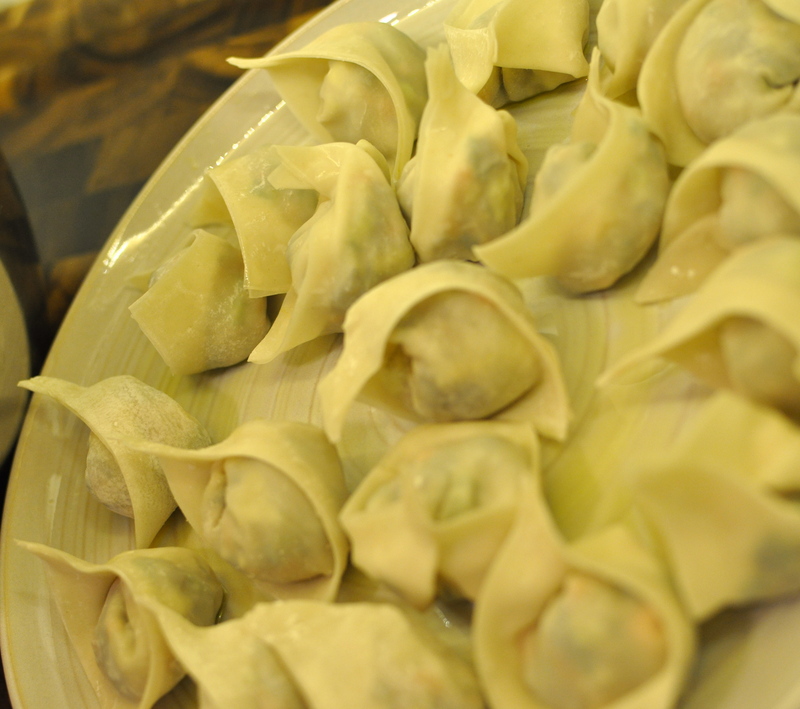 Have a dumpling party! Wrapped up and ready to go! 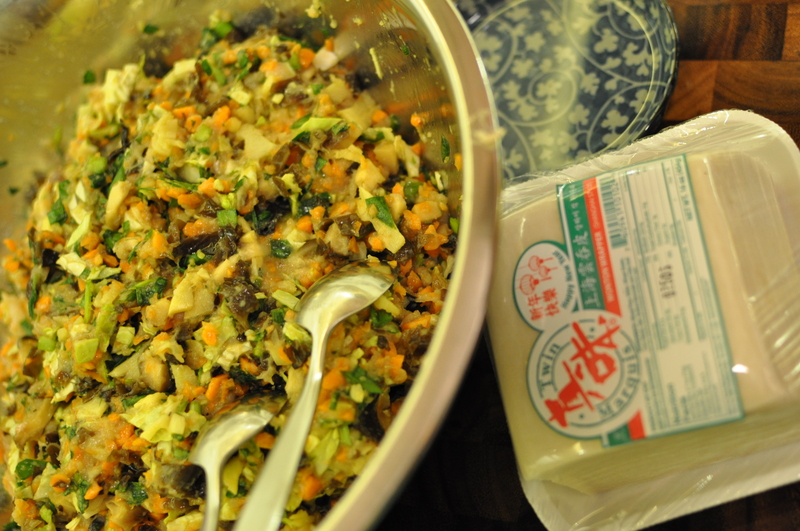 Chinese New Year Dinner – Turnip Cake! Happy New Lunar Year of the Snake! This is a special new year me because my Mom and brother will be visiting me for the first time in NYC for our traditional new year’s dinner! This dinner party menu will be split into several posts as some of the recipes may be quite complex. That said, practice makes perfect so don’t be discouraged!! 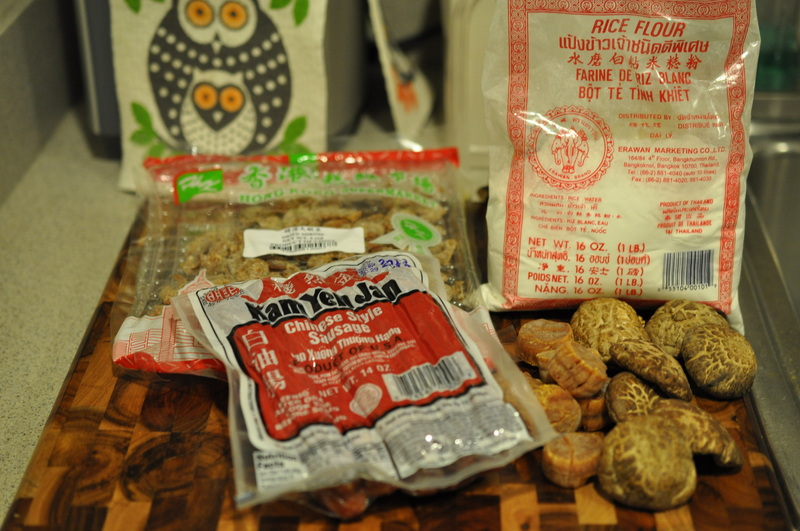 I will post as many photos of ingredients as I can to help you shop at your local Asian supermarket. First up on the recipe roster is home-made turnip cake. 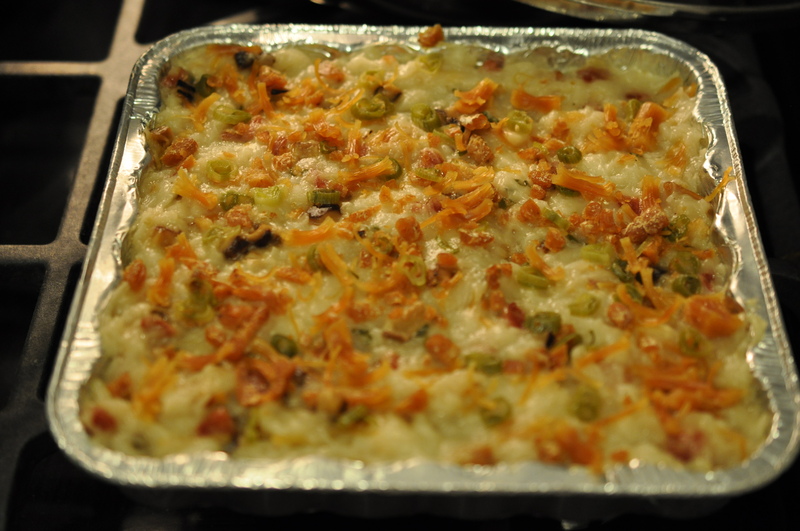 This savory “cake” is a family favorite and is a staple item for new year celebrations. While this item can be found in most dim sum restaurants, I always prefer to make my own as I find store bought cake ingredients to be “watered down”. As a note, I would reduce the dried ingredients by half if you’re not used to them as they can be quiet pungent (an acquired taste). The batter is quite thick so this is going to be a great work out for your biceps! – With a little heated olive oil in a pan, lightly fry up the diced Chinese sausage, reconstituted dried Mushrooms, dried shrimp and dried scallop (remember to reserve 1/3 for topping the batter!) for 2 – 3 minutes over medium heat. Place in bowl and set aside. – In a large bowl, grate the turnip. If you want better texture, grate 70%, the other 30% can be diced. Strain the turnip and save the juice in a separate bowl – my 2 pound turnip yielded just shy of 1 cup of juice. – Again, in a slightly oiled pan, fry up 3-4 slices of ginger. Add turnip and cook until translucent, about 7 – 10 minutes on medium heat. 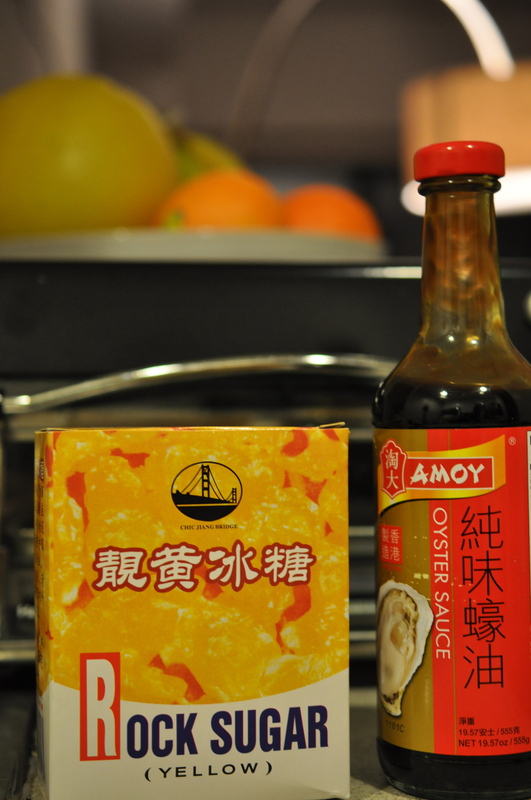 Add 2 – 3 lumps of small Chinese rock sugar, dash of white pepper & oyster sauce, cook with turnip until sugar is melted. Discard ginger. – Add the flour mixture into the cooked turnip and mix well. Consistency would be like a thick batter, so add 1 – 2 cups of water if the batter is too dry. Then stir in Chinese sausage, mushroom, scallop, shrimp, and scallion mixture. – Pour the batter into the aluminum container, top with the reserved topping, and steam for 1 hour. Store in fridge overnight. Option 1: Slice up the cake and pan fry with oyster sauce to dip. Option 3: Make the cakes into these super cute hearts for Valentine’s day with a twist!!! Next up! Steamed Fish with Ginger and Scallions & Wine Marinated Chicken, stay tuned and Gung Xi Fa Cai!